#PaperbackSummer is here! Sorry, I know I am a week late to this, anyway I wanted to share my thoughts and my book pile with you. #PaperbackSummer gives you the perfect opportunity to get down your TBR of paperbacks. The challenge is running through June, July & August. You simply need to read as many paperbacks as you can. Thank you to the lovely Sophie from Reviewed the Book and Suze from Librarian Lavender for coming up with another brillant reading challenge I'm happy to take part in. At the moment I have approximately 75 paperbacks to choose from and of various genres. Sounds crazy but I know I am not the only one with this huge amount of books. I've gone through my paperpacks no matter if I have bought them myself, been given them for a review or won them in a giveaway I want to read them all. Surely I am not expecting to read all of them as I am sure there will be other books I will get and want to read. Therefore I choose a pile of 25 books for my personal paperpack summer. Most of these books have been sitting on my shelf forever and waiting to be read because I became more and more attached to digital copies this year. I want get back to read more paperbacks as I have just read three (that sounds even more insane!) in 2015 so far. 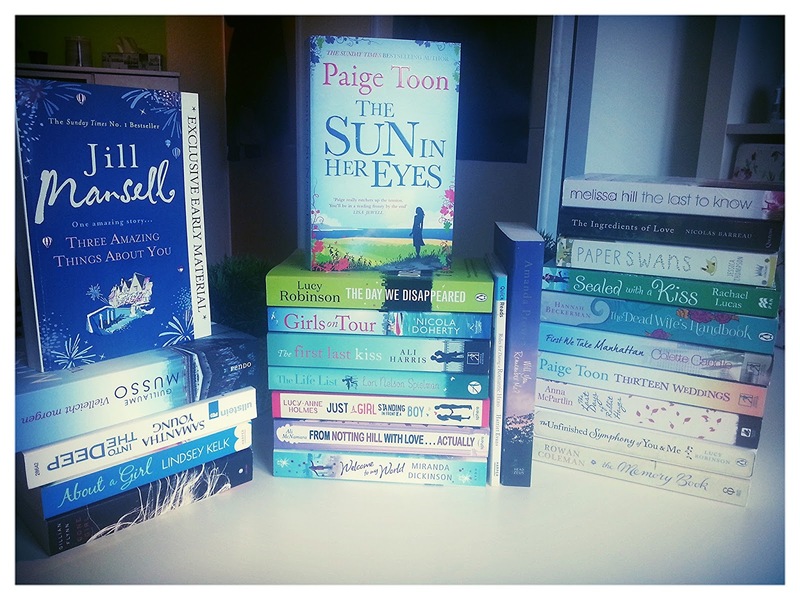 Have you signed up for paperback summer? What is your pile for the paperback summer? I'd love to hear from you! good luck with the challenge =) I am running the Book Blog awards this year for the 2nd year in a row and wanted to let you know nominations are open until October 31st . There are 15 awards up for grabs this year. You may nominate your own blog or ask your readers to nominate you. Readers vote on November 15th.